Welcome to the Roncalli Choral Department! There are several choirs offered to students at Roncalli. Anyone who loves to sing, regardless of their vocal experience, is invited to join either the Beginning Women’s Chorus or the Beginning Mixed Chorus. 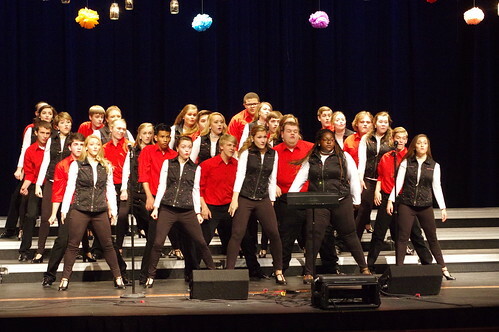 Students who have more of a choral background and who qualify by audition can be a part of the two advanced choirs - Advanced Women’s Chorus or Rebel Rhapsody, the show choir. All four of these choirs perform in Roncalli’s three major concerts: the Sacred Sounds concert in the fall, the winter Christmas concert, and the Pops concert in the spring. 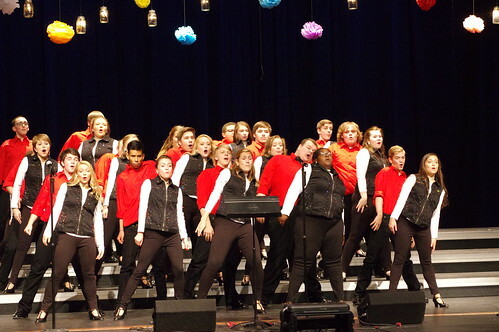 In addition, the advanced choirs compete in the ISSMA (Indiana State School Music Association) competition in the winter. 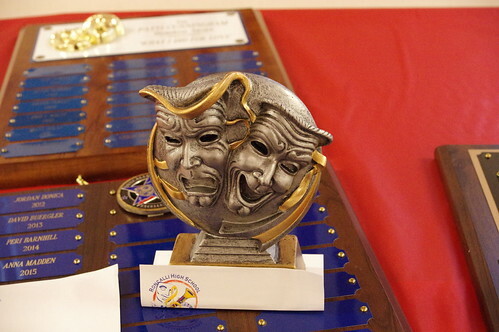 Roncalli choirs have a very successful history in these competitions. We are looking forward to an incredibly exciting and successful year for the Roncalli Rebel Choirs! Joey Newton is in his seventh year as Choral Director. Joey has been involved in the South Deanery all his life. He attended St. Roch Catholic Grade School and is a 2003 graduate of Roncalli High School. Joey attended Marian University, where he earned his Bachelor of Arts in education. Joey plays the piano but really learned to read music as a trumpet player in band at St. Roch, at Roncalli (under the direction of Ms. Peach), and through his college years at Marian University. Before becoming the Choral Director at Roncalli, Joey taught for four years at St. Roch, teaching 2nd grade for two years and K-8 music for two years. He remains the pianist and choir director at St. Roch Parish. In May 2011, he married Roncalli classmate Stephanie (Horan) Newton. They are the proud parents of two daughters, Eliza Rose and Vivienne Terese.